ViVET is a platform designed for users and learners who want to improve their careers with practical videos, courses, and trainings. By providing the possibility for the users to learn value-added contents anywhere, anytime, ViVET ensures the teaching and learning can be free, fun and flexible. A big opportunity awaits you here! ViVET facilitates access to Vocational Education & Training worldwide. 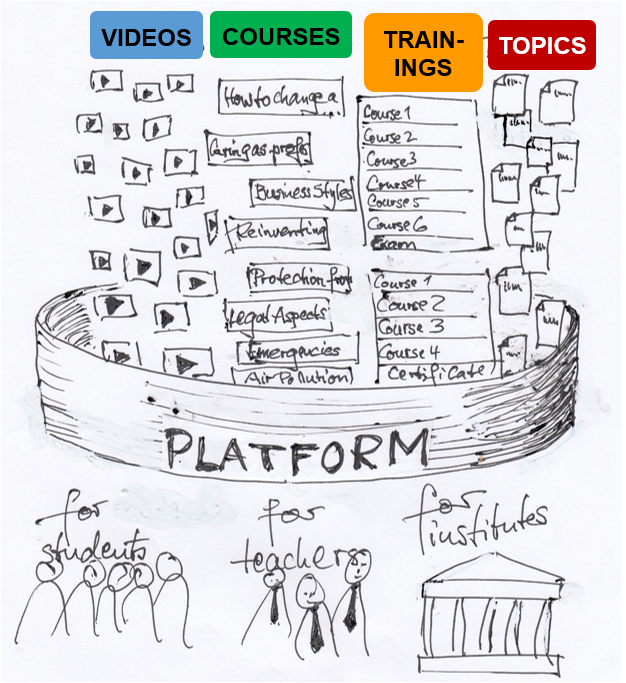 The platform contains ever-growing contents of videos, courses, and trainings. It is an easy tool for learners and for teacher-authors for creating online courses. Vocational Training Centers will be able to widen their program with up-to-date trainings. ViVET collects, categorizes and evaluates videos and other online materials. ViVET features translations into many languages. ViVET is adapted to computers and smartphones. ViVET will be a revenue model for teacher-authors and VET institutes. ViVET provides an ever-growing library of open videos for all vocational skills and trades. Videos are collected from Youtube or Vimeo with open access. They are sorted into main, sub and sub-sub categories. An EREC rating by experts and users will lead to a value recognition of the videos. If suitable videos are not available, shooting of own videos is an option. A course is an easy learning tool for students and teachers. It is a concise unit of 5 – 10 training hours or more or less one day. The contents of a course are composed of different widgets, such as Plain texts, videos with subtitles and embedded texts, pictures or charts and PDFs, quizzes and response widgets. Course can be translated into other languages by automatic translation with manual refinement. A course can easily be corrected or amended during lecturing, which gives high flexibility to authors. A training offers comprehensive learning of a subject or even a training field – usually ranging for several weeks or even months. Each training ends with a final test the passing of which leads subsequently to the issuing of a certificate. Trainings and courses can easily be amended and adapted to local needs. The Topics in ViVET provide knowledge about any kind of subject in the large field of vocational and professional training. On this bases, a permanent online magazine for Vocational Education & Training is developing – with best practices, job profiles, latest developments, and current debates. Contributions to the topics be can commented –thus starting a lively debate. As VET will play an ever-growing role in education, in general, these topics will open new horizons.